There are some wonderful non-profit organizations that are making a difference in our community. 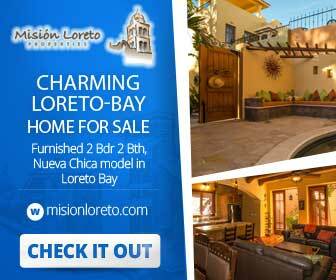 Mision Loreto Properties proudly supports Eco Alianza. Eco-Alianza de Loreto, A.C. is a nonprofit membership organization of environmental organizations and individuals committed to working collaboratively to protect and preserve the coastal, marine and terrestrial eco-systems of the Municipality of Loreto while promoting smart growth strategies and viable communities in the region. Caritas is a division of the Mision Church that raises money and collects food and clothing and distributes it to families in need. Animalandia http://www.animalandia.org/ has visiting vets from other areas who come and volunteer for spay and neuter clinics. They also attempts to find homes for cats and dogs who need them.